Something that is insidious is dangerous because it seems harmless or not important but gradually develops over time to cause harm and damage. Scurrilous accusations, stories, or articles contain untrue, unkind, and unfair statements about someone that could spoil that person’s reputation. Maeve sought to control others in her social circle with a clever system of machination that included power plays and other scheming plots. She spread rumors and used machination or dishonest strategic actions to convince people that her invented stories were true. Her cruel machinations or secretive plans were soon exposed when those around her realized painfully that Maeve’s kindness was only a show to trick them all. Quiz: Try again! What are machinations? Fake rumors spread about others. Feelings of control and power. Plots and schemes to influence others. Machine Fascination Hackers use clever machinations to control others through hacking into their computer machines; this fascination for machine destruction is a form of machination that makes us all suffer. Machination is the “act of planning against” or “tricking” someone. 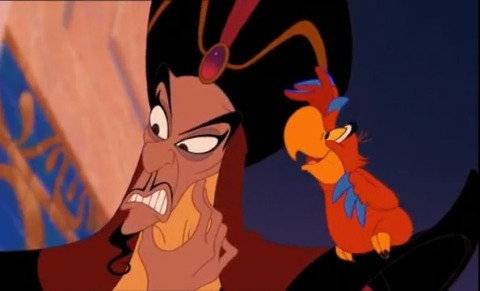 Aladdin Will Jafar's machinations make him sultan?